Founded in April of 1981, the Vipers have established themselves as a force to contend with. The Vipers participate in USA Rugby’s Division II Mid-Atlantic Conference. 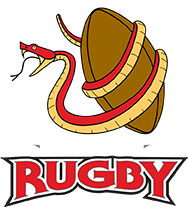 View the Viper’s full USA Rugby League’s schedule & standings here. In 2018, the Vipers added a DIII division competing in the Carolina’s Geographic Rugby Union. We continually and enthusiastically encourage new players to join the team. While rugby experience is welcomed, we’re also willing to teach eager, wide-eyed novices all the ropes they can handle. We firmly believe that one of the key elements to a successful rugby team is trust. Trusting your fellow players creates a web of support, which also fosters challenge and unlimited skills growth. It also makes for fun on and off the pitch! Practices (during the playing season) are Tuesdays & Thursdays from 7-9pm at the RRFC World Class Rugby Facility.